2014 : Since 2014, when I have discovered AppGameKit, I have tried to convert my game to AppGameKit (android & PC). I have began in May 2014, I have made a level editor for this game and stop the development in november 2014 (because I write novels and I need time). In September 2015, I have decided to continue this game with AGK. And again in 2016. Since september 2017, I work on this game again (and on my other game : clash of bots, my fantasy town). It's not finished at all, but the game start to be nice to play ^^. I don't know if I will add a real story, perhap's just some lonely quest. I woulk to add : Russian, Chinese, Japanase, but I don't know how to add those langages ^^. - PNJ : clic on a pnj display a dialog for quest. - fight : we can fight with "monsters", if we win, we have xp and drop. - UI : minimap (with mob, player, teleport, pnj), map number & "MiniworldMap". 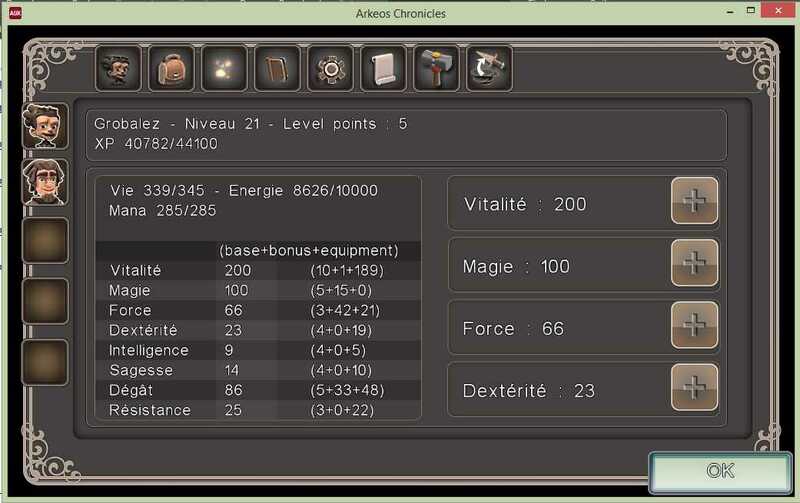 - Statistics fot the player (life, mana, level, xp, vitality, agility, strong, armor...), we can change the stats with level points we win when we win a level. 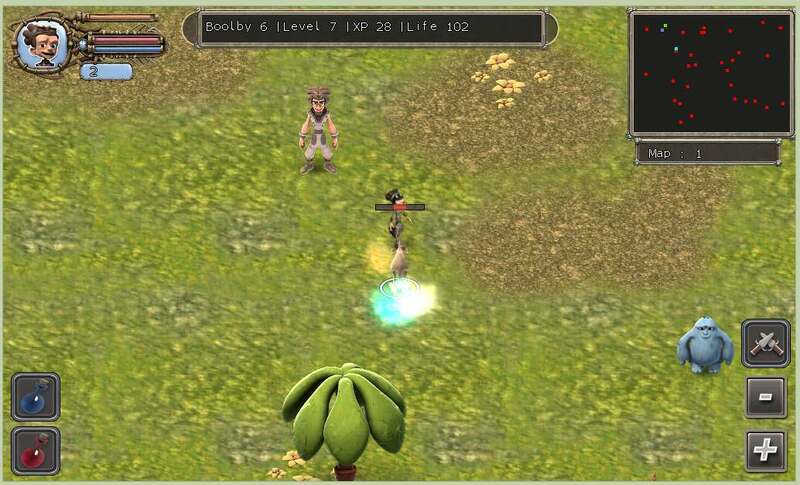 - UI - spells : we can see the spells we have and upgrade our spells with spell points we win on each level. - more items (equipment, objects..) : I hope to add more ! - shaders (I would like to add some shaders fx, but I don't know to create the shaders I would like (sort of blur, glass...) : ok additive, grey level. - craft ou improvement for equipment (Forge) ? Aweesome! Post a video of the gameplay! Looks fantastic. Quote: "Post a video of the gameplay!" This looks a great project, well done so far! Thank you for you comments ! 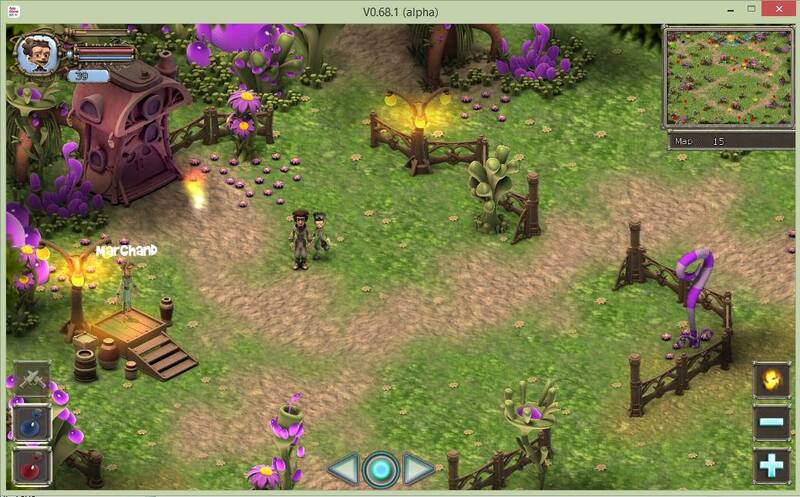 For the moment, I use camstudio to create my vidoe, but it's not great to have a fluid video of my game. Do you know another video screen capture ? Quote: "Do you know another video screen capture ?" Quote: " I use camstudio to create my vidoe"
I just downloaded CamStudio and i see what you mean. The recording is very choppy. I'm also looking for a Recording Software for Windows. If i find one i will let you know. Nice to see you back in action; I just recently commented about your past work in my WIP; was wondering what you are now working on. Maybe http://www.fraps.com/ would be suitable for capturing gameplay. Yes, FRAPS is definitely better but recently realised that the lovely smooth videos you see of gameplay on YouTube are done using proper capture cards. Don't worry if it's not completely smooth though, it's just nice to see the games in action. OpenBroadCaster on windows gets my vote these days. Given a geforce card perhaps http://www.geforce.com/geforce-experience/shadowplay sounds like it would do a decent job due to hardware support. Again, YMMV. Thank you for your useful comments ! I will tried Fraps and OpenBroadCaster ^^. @DavidAGK : I will tried to do a better video than I have made and post it soon. You're right, it's great to see the game in action . @Chamaleon : I have a little PC with not good proc and integrated card (a silencious packard bell). SO I don't think I have this kind of hardware support ^^. Quote: "Nice to see you back in action; I just recently commented about your past work in my WIP; was wondering what you are now working on. " In fact, I have a lot of others projects, started some years ago (since 2006). You can see it at this page (I have not add all the games, but most of them ^^). I have started most of the games. - Towerbots (I have to add some maps/levels). - Teo & Loli (platform). Some news about my game Arkeos. I have made a new map editor. The first with AppGameKit was great, but not very great for interface and gadgets ^^. And my old editor was... to old and the code was ugly. With this new editor, I can do a lot of cool things (copy/paste some sprites, move several sprites, hide, freeze, miror, size, color...), add a background with Repeated tiles, add block collision (x,y,w,h,typ), load/save, export for my game, test the level inside the editor and a lot of others cool stuff ^^. 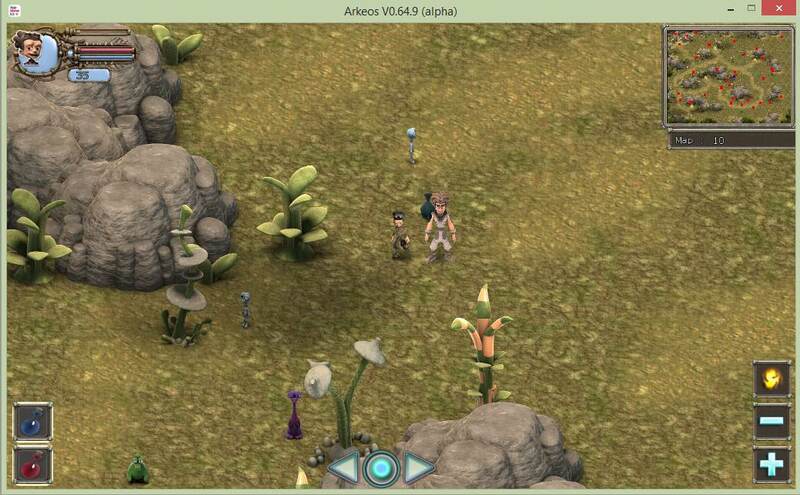 - in inventory : we can sell the objects (potions...) or equipment we don't need. - spells book is functionnal now. 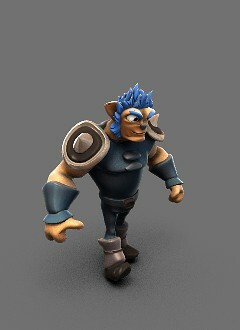 We can see the spell and his information, we can update these spells (much damage, faster...). 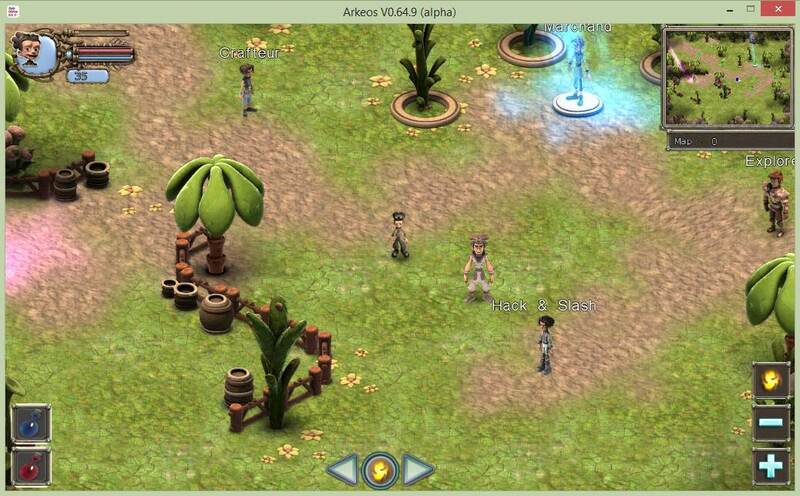 - now , the "teleporter" appears only if we have destroyed all the monsters on the current map. - block collision : I have add some block for collision. It's not finished, but it works. - I have made some 4 new maps and modify my old maps to use it in this version. - previously, the map was generated randomly. Now I open the map, if it exists, and if not, I create the map randomly as the old version ^^. - I have made some tests (for fps, with 200 trees& plants, 100 grounds, 100 flowers, 15 rocks and the fps is fine. - new action object : treasure. We can win some equipement, potions and money. - now, clicking a pnj open a message with his dialog. Stunning visuals! Reminds me a little of Ryzom. Good work! NICE!!! The new editor, is it Purebasic only, or are you using AGK2 Tier2 to render the map in it? 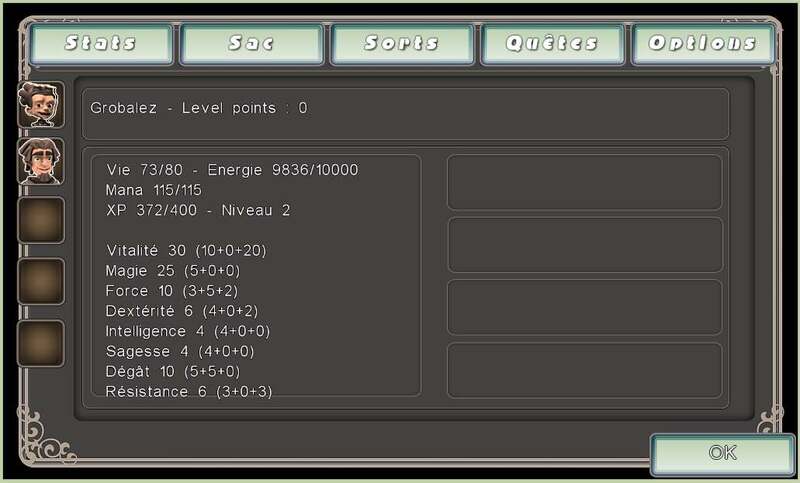 - Now, The player can create some invocations (a gogoon for the moment, because I don't have the level to create another invocation ^^). 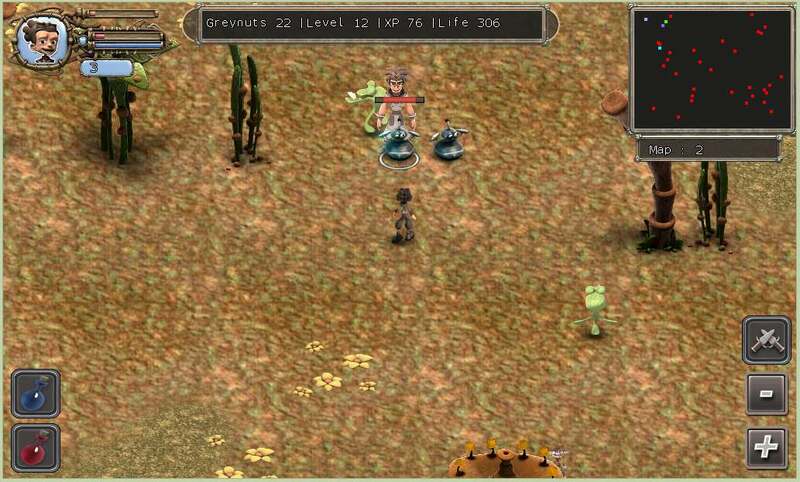 The invocation follow the player, and fight the monsters if they are near his position. He can have damage and died if it has no more life. - The monsters do damade on the accolyte (the friends of the player) if they are near their position (like the player and the invocation). The accolyte can died too. He's again in live if we win the fight or if we die too. - New Ui : worldmap. We can select the map you want to play (if we have reach it). - the potion that we can drink (life, mana) has now a timer (like the spells). thanks. OH Rizom was one my favorite game. An awesome world, I have played this game a lot in the past ^^. The new editor is made in Purebasic only. I don't know how to use AGK2 to render the map in it ^^. If you have any information to do that, I'm very interested . @Blendman: Thanks for the info. No, I have no clue. I was just wondering. Quote: "AWESOME GRAPHICS! Looking really good man, Nice concept "
Quote: "Stunning visuals! Reminds me a little of Ryzom. Good work! " Quote: "- I have made some tests (for fps, with 200 trees& plants, 100 grounds, 100 flowers, 15 rocks and the fps is fine." 57.8 FPS is really good. My FPS had dropped to 42+, so I set my sync rate to do 30 fps. If it drops below 30 then I will stop adding stuff or make a LOD system, but that is in 3d, so your 2d stuff should be a lot more flexible about adding more stuff in. Quote: "For the moment, I use camstudio to create my vidoe, but it's not great to have a fluid video of my game. Do you know another video screen capture ?" I use FRAPS as already suggested by chamaeleon, but my laptops's integrated graphics causes it to lag (get choppy), and the only thing I have found to remedy that is to set the playback at a faster rate in my video editor. That gets things back to normal speed, but ruins the audio, so it is not sycned anymore, and I have to mute it or edit the audio and then put it back in the video editor. That takes a lot of time though and does not get good enough results to justify it, so I usually either deal with the lag and leave the audio, or correct the speed and mute it. It all depends on whether the audio is crucial or not. Quote: "The new editor is made in Purebasic only. I don't know how to use AGK2 to render the map in it ^^. If you have any information to do that, I'm very interested "
Did you have any luck using the code I posted a while ago? 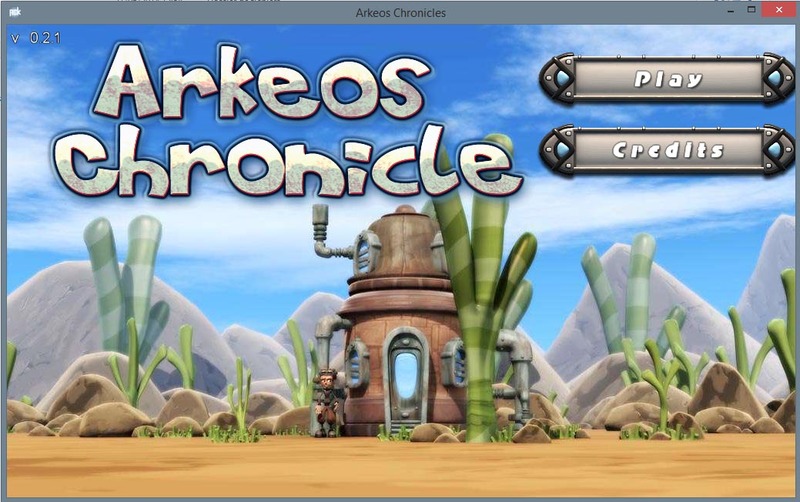 Since September 2017, I work again on Arkeos my Fantasy RPG (cartoon Style and funny story) for Android, windows and probably Mac, linux and IOS I f I can ^^. for player & accolyte - pathfinding a very big thanks to the incredible MIKEMAX for this pathfinding code ! 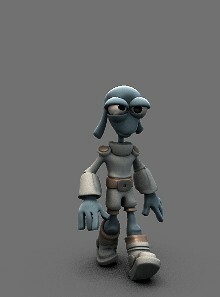 - more items (equipment, objects..) : we have 73 objects and 40 equipments to collect, I will add more objects ! - Quests : we have 17 quests. I will add more quests soon ! Quote: "Did you have any luck using the code I posted a while ago?" Quote: "57.8 FPS is really good." On my very crapy PC, I have 50 to 59 fps. On my android tablet (samsung Gnote 2014), I have 60FPS. 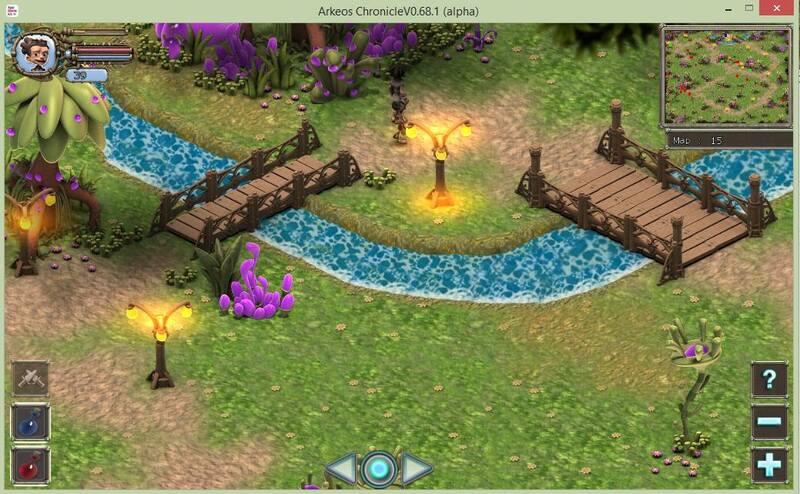 With pathfinding, fight, lots of sprites and fx. I have added some options to show/hide some elements in fps is too bad . As always - very nice work and game here. 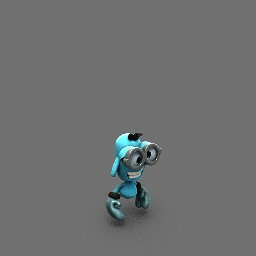 All thoses enemies are animated (walk and fight). Quote: "enemies are too cute!" Do you think they are too much cute ? Quote: "what do you use for creating such characters for texturing/animations (Sprite/Blender)"
For my 2D games, I mean with a 2D style drawing not a 2D game with a 3D rendering like that game, I use Spriter, which is great. 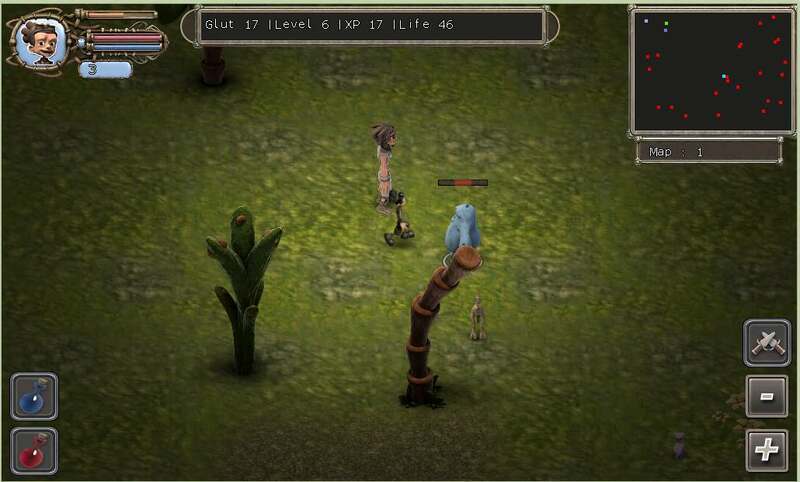 For this kind of game (2D game with a 3D rendering, like the old 2D isometric games), and for all my 3D, I use Blender : to create the model, rigging/skinning, animation and rendering. 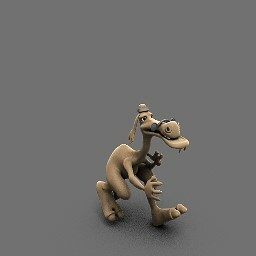 Quote: "reminds of me of wallace and gromit Plasticine material"
I'm a fan of wallace and groomit . I like those kind of film. I'm a fan of Pixar, Illumination, and disney too (and I like a lot "Ice Age") ^^. 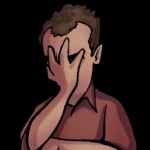 - blender internal : I use it on this game, because it's fast rendering engine, and produce material I like. 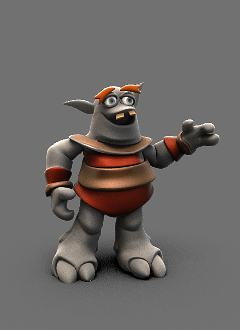 - Cycle : an great rendering engine to produce very realistic rendering. The rendering depend a lot of the light, not only the material. Your characters are perfect! Every inch of your work screams quality. Have you thought about copyrighting your work? If I produced work like this, I definately would copyright / trademark everything. 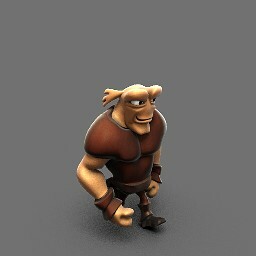 Your characters look perfect and show a lot of personality Blendman. Keep us posted of the news! Cheers! @Tboy : thanks a lot for your kind comment. Quote: "Have you thought about copyrighting your work? If I produced work like this, I definately would copyright / trademark everything." What do you mean by copyrighting ? Hwo shoudl I do to do that ? 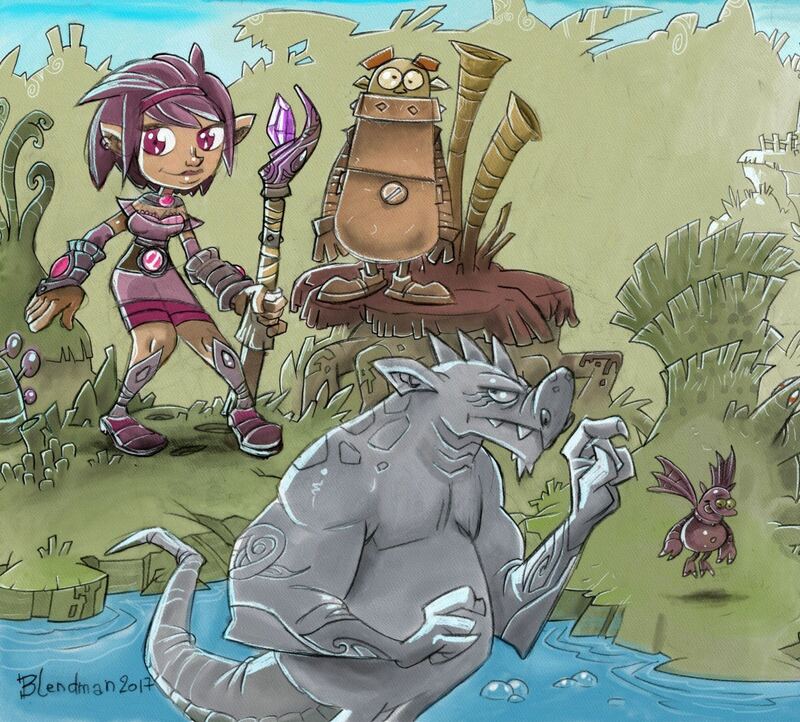 Yes, I have though to send my characters and story to a studio. But, I think most of the studios have their own project ^^. 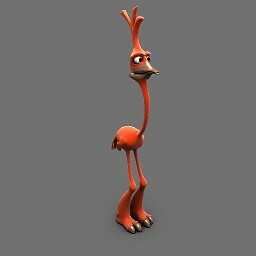 And I don't think the studio use blender to produce their animation film ^^. be the way forward. Look for a reputable lawyer in your country. Your work needs some sort of protection, it really is that good! can convert your models to any format! They are also experts in their field! Before you do, get some legal advice! Quote: "What do you mean by copyrighting ? Hwo shoudl I do to do that ?" I would like to find a way to create easily a river, but I haven't found for the moment ^^. Quote: "I would like to find a way to create easily a river, but I haven't found for the moment "
@Blendman - Stop showing off This looks fantasic, wish I had the stamina and ability to stick to a project for more than a few months. @blinko : thanks a lot . This new land is named fearia, so it should gorgeous . @supertino : thanks. I'm on this game since... 2009 I think . 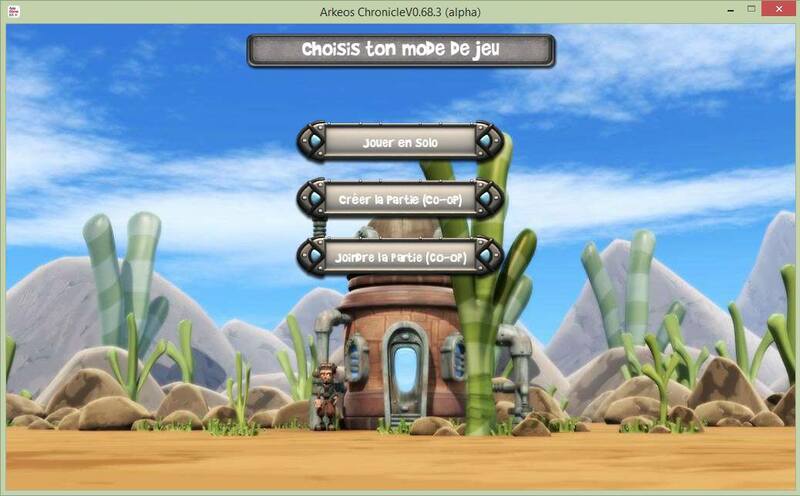 I have made a lot of versions with lots of tools or langage. Since 2014 : (since I use agk), with agk it was a test, and it was so easy to create a game that I have recoded completely the game in agk tier1 since 2014, and now this is the best and biggest version. 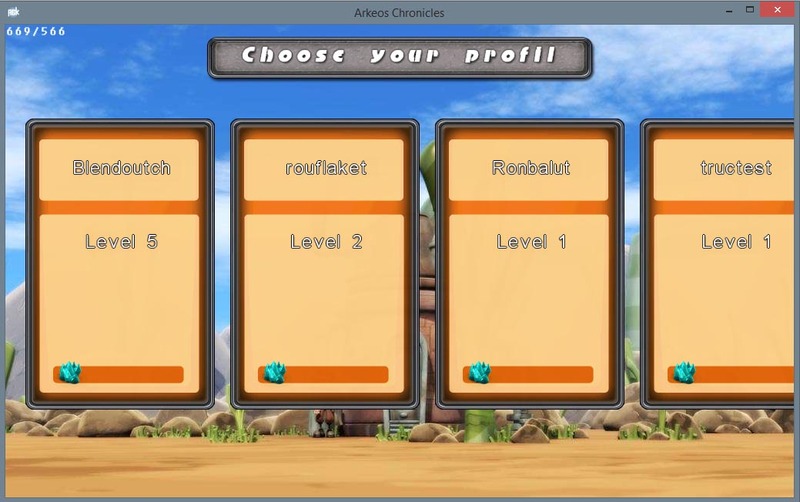 Thanks to ahk arkeos chronicle will be available for pc, android and ios if I can . I would like to send it to steam, but i dont know how to do that. Any idea on how to sale a game on steam ? - skills : we can have skills, to add abilities or features to the player (like see a minimap or speak to pnj to buy objects...), more skills more interesting will be added. -weather engine : rain, snow. Others weathers effects will be added soon. Weather can be desactivated in the options. 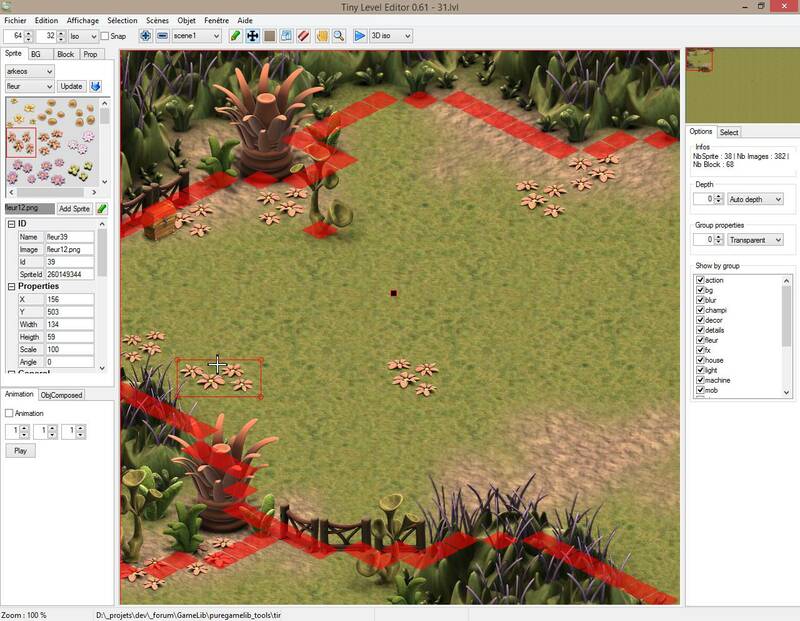 - fx : fire, smoke, magic... fx can be added directly from my level editor. - Lan mode (co op) : its not finished, but I have add the possibility to play with friends or family in a local network. Only the tchat for the moment, but other gameplay is begun. Who could be interested to play this game ? If its the 3), I think I will use the mikemax server, if he's ok .
Quote: "If its the 3), I think I will use the mikemax server, if he's ok ."
@Blendman: How do you build the terrain having these nice smooth transitions from grass to ground? 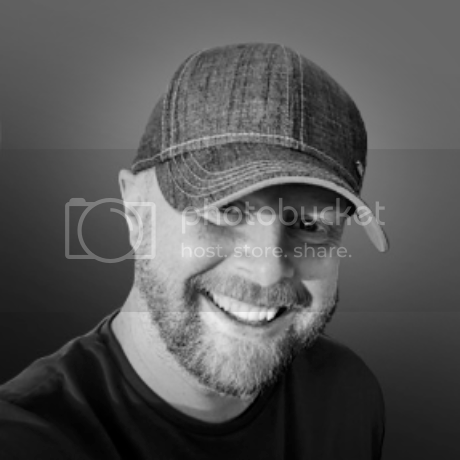 @Blendman - releasing on steam is easy as long as you have $100 for the fee (per game) and don't mind sending Value and a 3rd party they use your bank and Identity information. I'd also recommend you have an English version and to get it on steam sooner rather than later as maybe as early access if the game is far enough along. 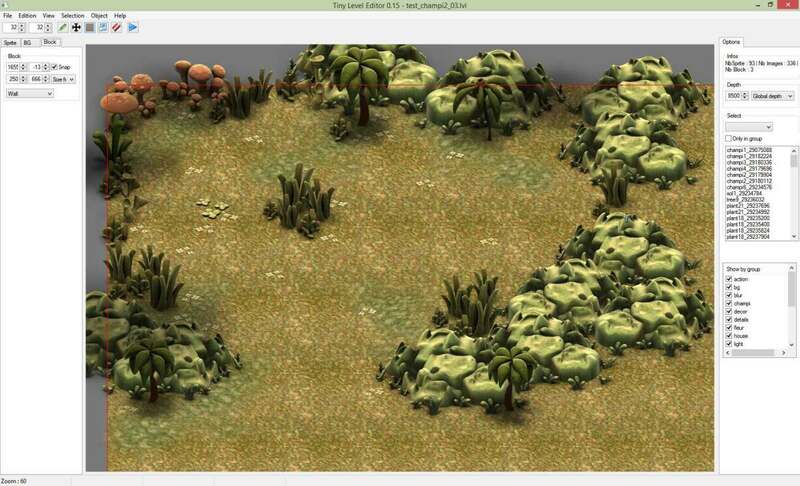 Quote: "How do you build the terrain having these nice smooth transitions from grass to ground?" It's a simple ground repeated (with setSpriteScaleUV()) and some sprites with alpha. I have tried a shader with 2 layers (Background repeated + path (image repeated too) + another image for the alpha of the path), but it's not good for GPU if we unzoom (zoom = 10% for example). The fps is divided by 3 (30fps max with zoom = 10%). So I prefer to use several little sprite with alpha chanel (png). Quote: " I'd also recommend you have an English version and to get it on steam sooner rather than later as maybe as early access if the game is far enough along." 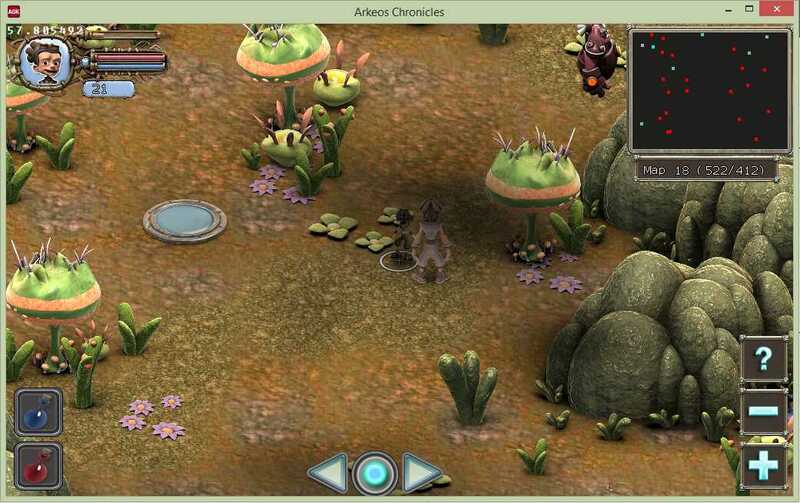 For the buzz, this game is on indiedb (http://www.indiedb.com/games/arkeos-chronicles/). 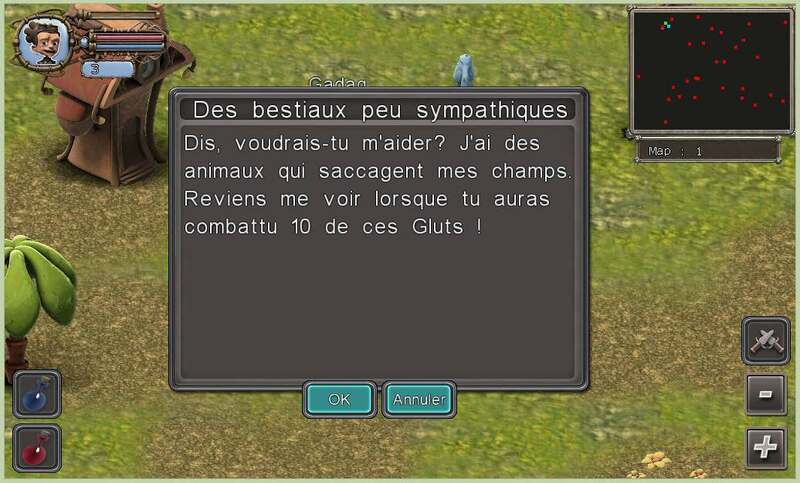 I have posted on another forum (in french). I will see itch.io and twitter, it's a good idea, thanks . 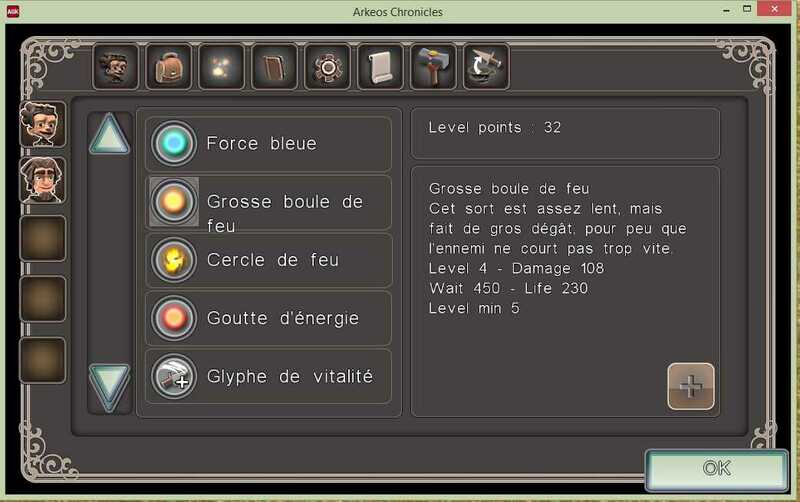 Some news about my Arkeos Chronicle (Fantasy RPG android & PC). 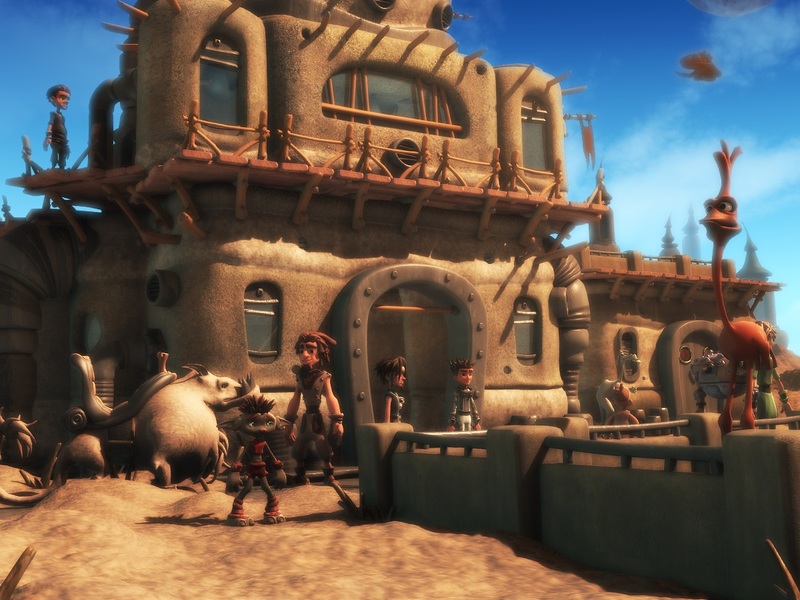 - Equipment & smithy : we can now made a fusion with several equipments to get a better equipment (equipment have level, grade and levelpoint to improve their level). We can have 503 equipments and more with the smithy. - new quest : 43 in total. - new map (or improved) : 20 maps in total. - New Objects & drops : 116 in total. Most of the icones have been remade in 64*64. I have made it in a fabulous painting software name "Rebelle" (by Escape motion). The watercolor engine is amazing.